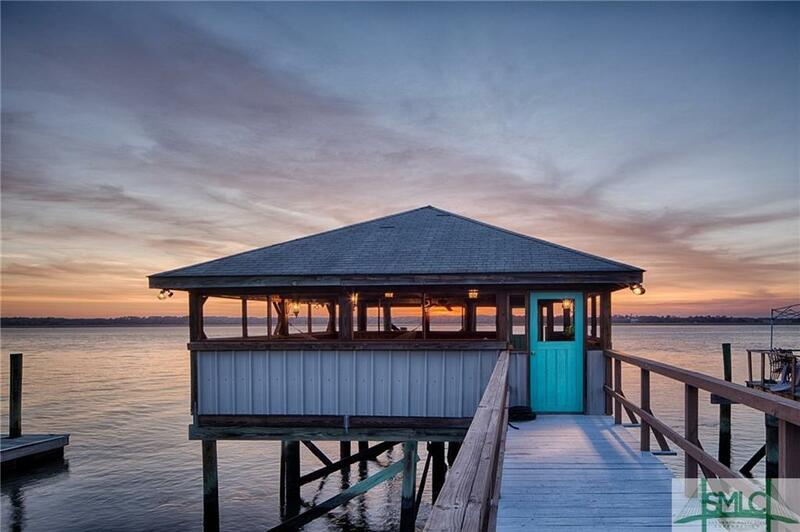 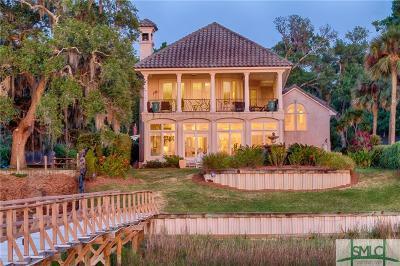 Deep Water Jewel w/dock & dock house on the Wilmington River. 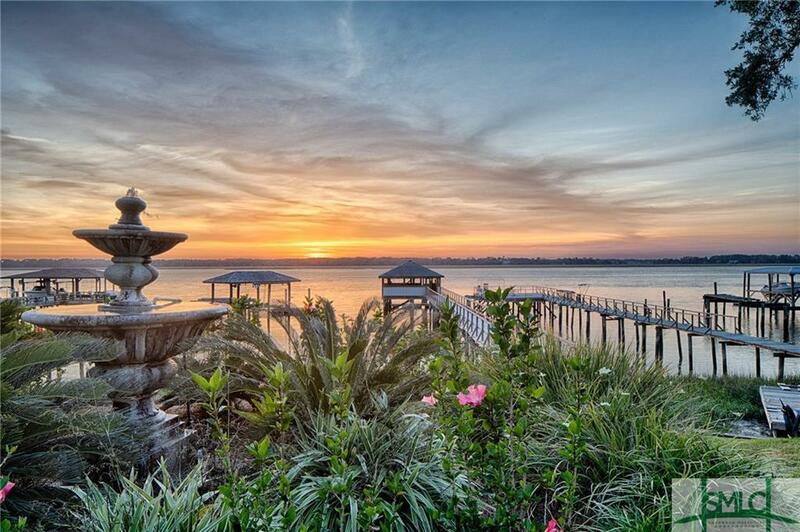 Enjoy magical vistas & sunsets as you relax in your Tuscan Style Villa. 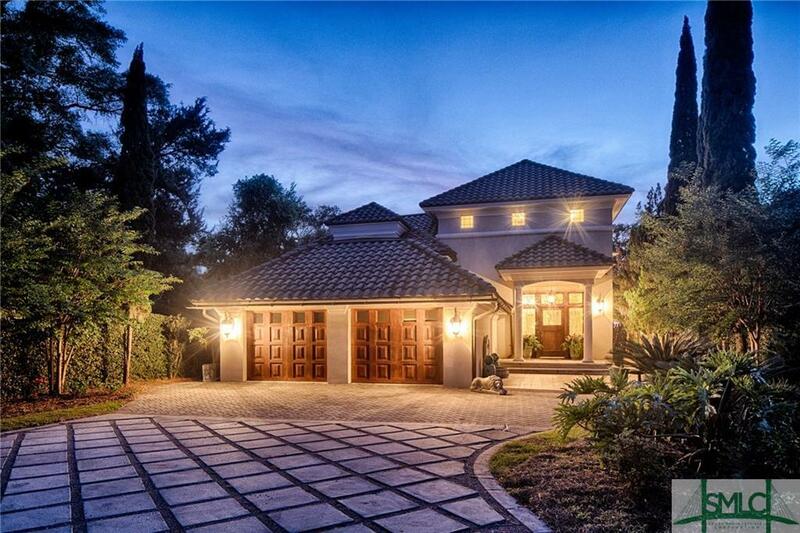 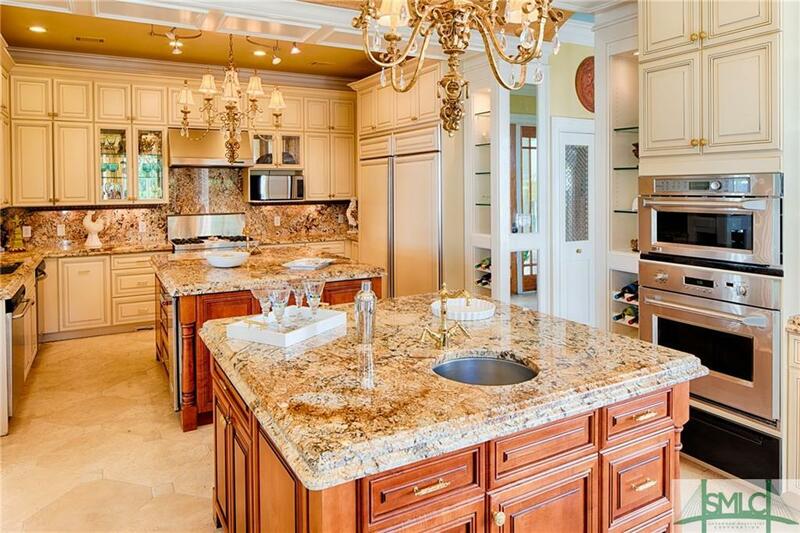 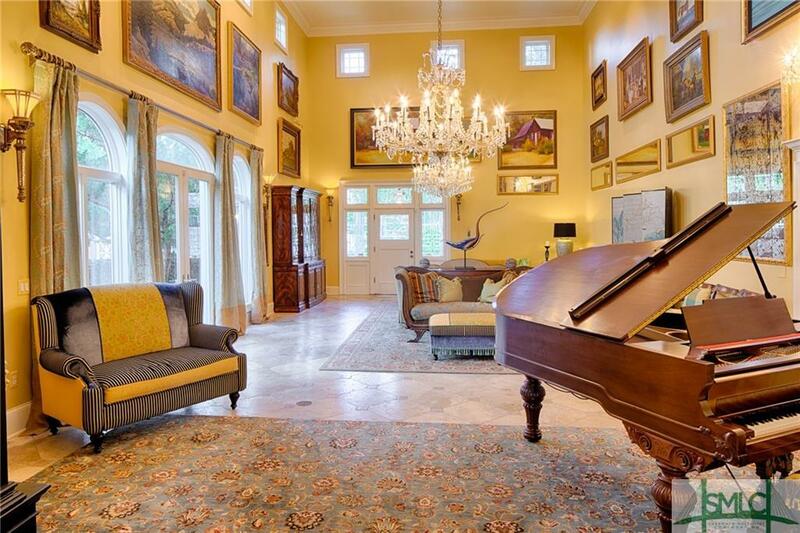 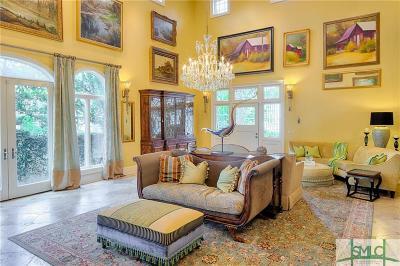 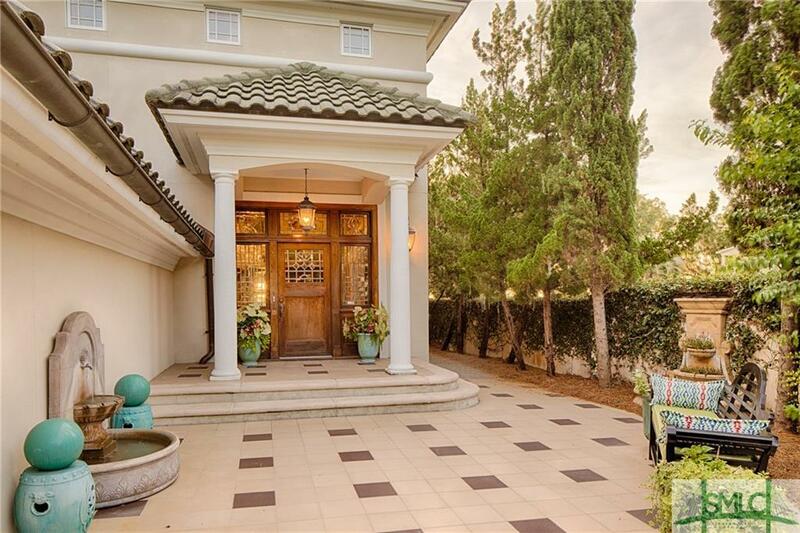 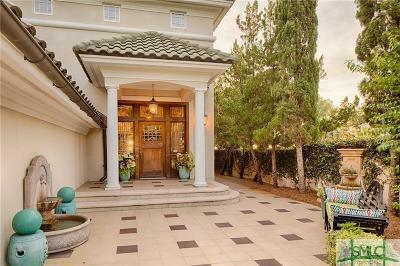 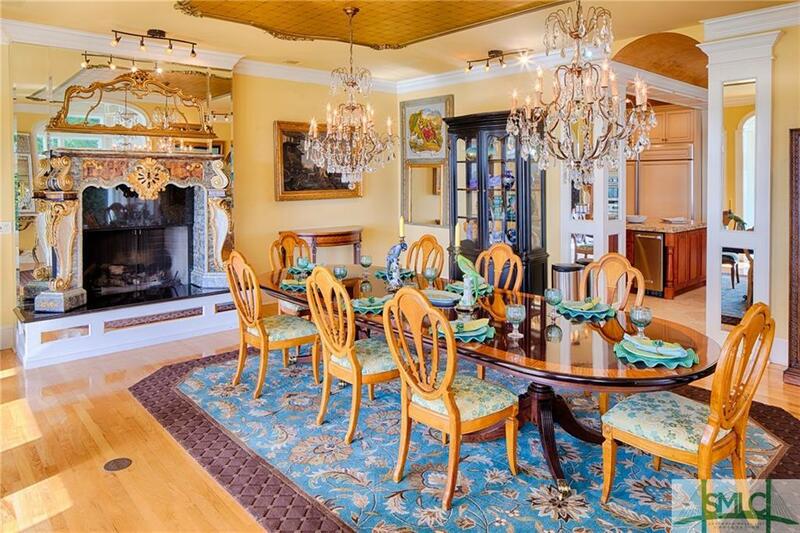 Gated entry & an impressive long, winding driveway lead to a very private sanctuary. 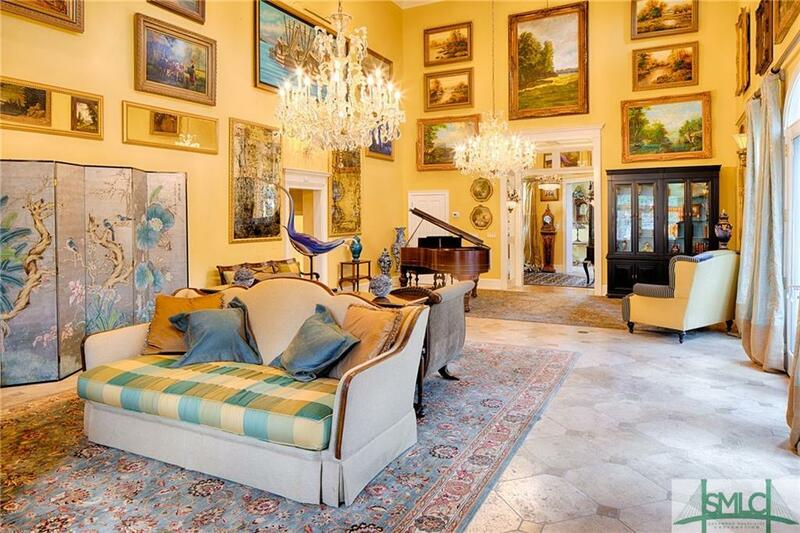 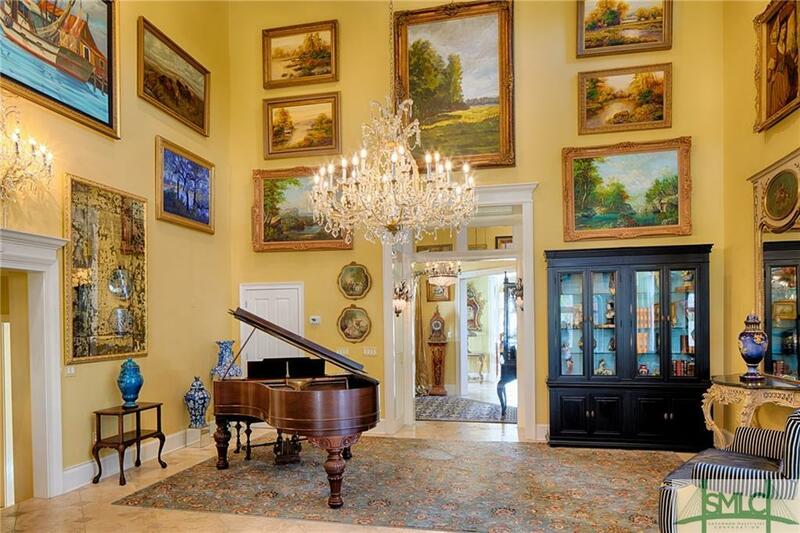 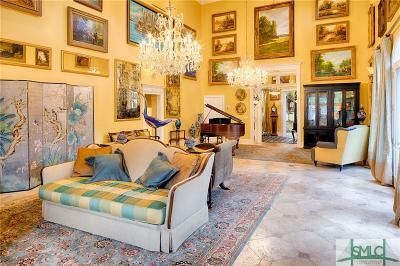 Upon entry, one finds a two-story salon created to display a collectors art. 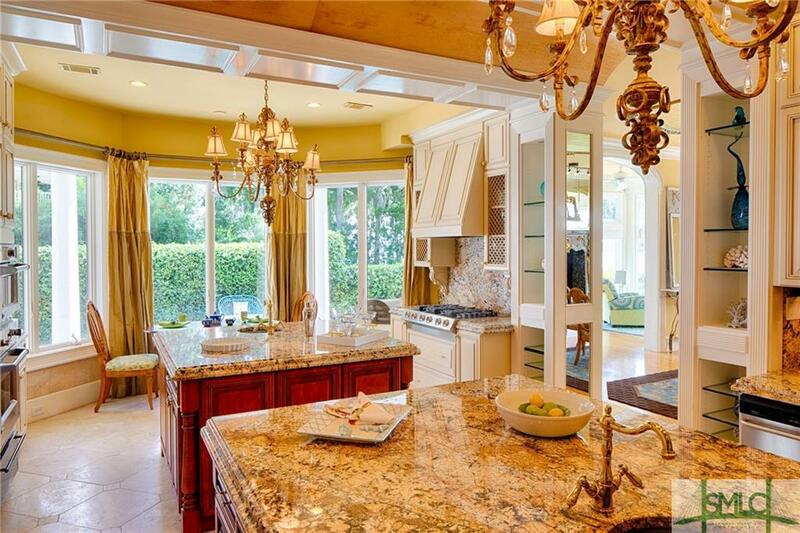 Designed for entertaining, the kitchen is a perfect chefâs kitchen w/two cooking/ prep stations & easy flow into the spacious dining room w/impressive river views. 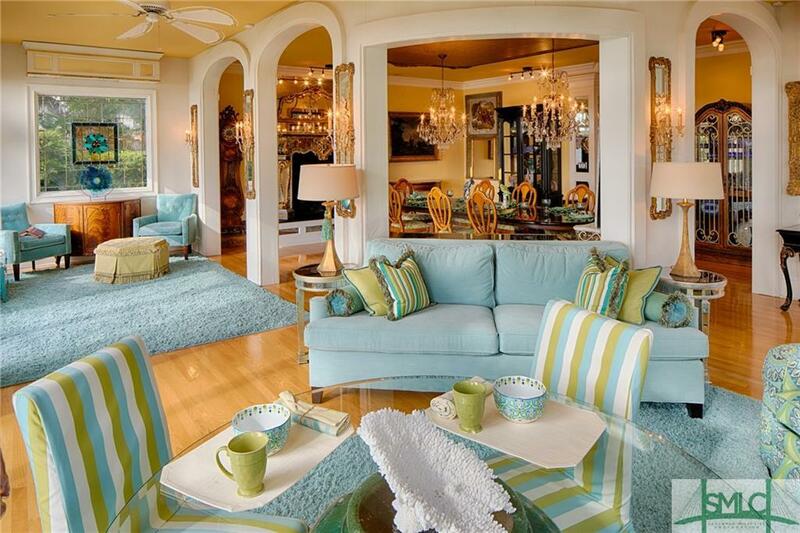 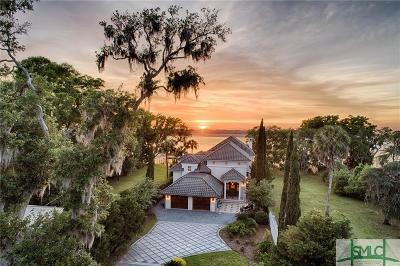 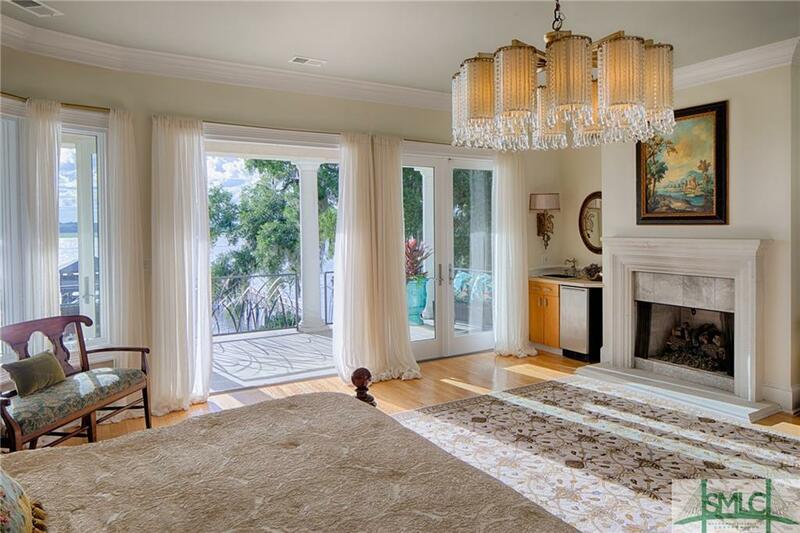 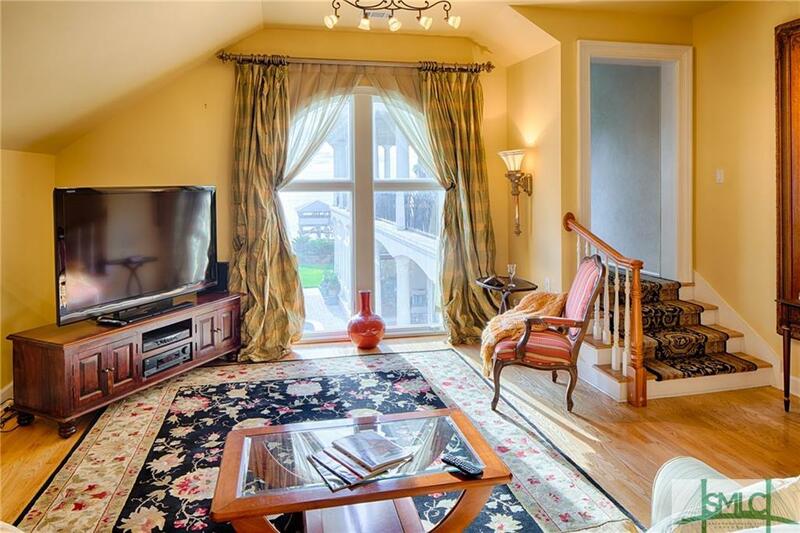 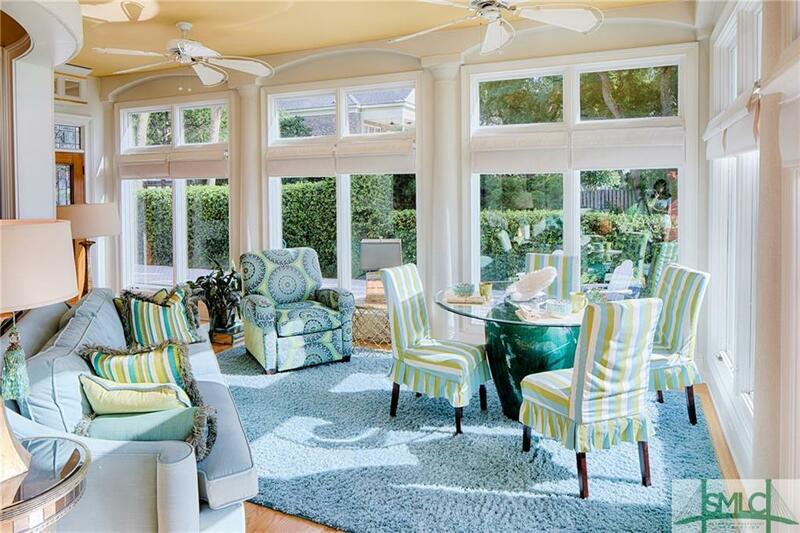 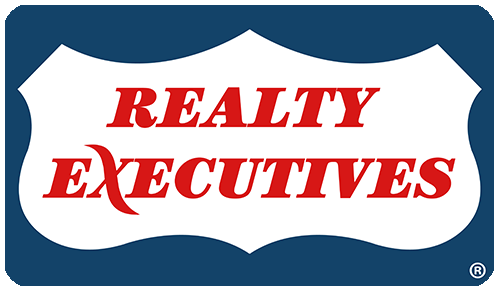 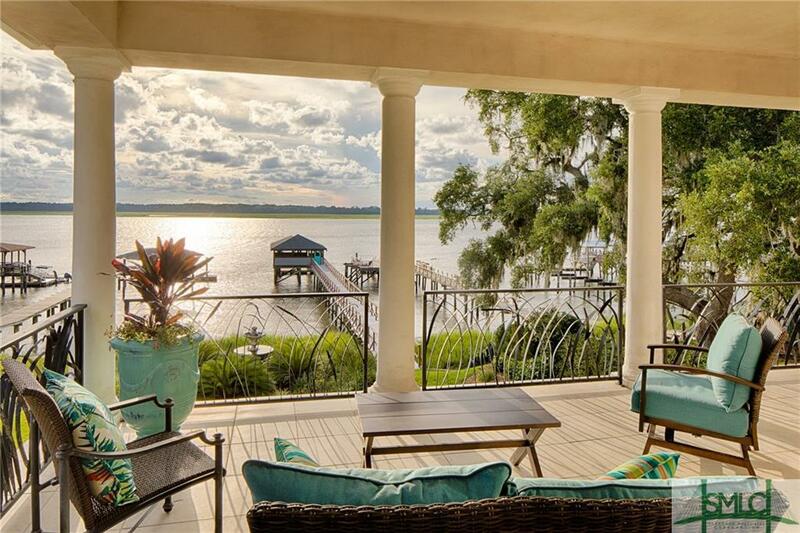 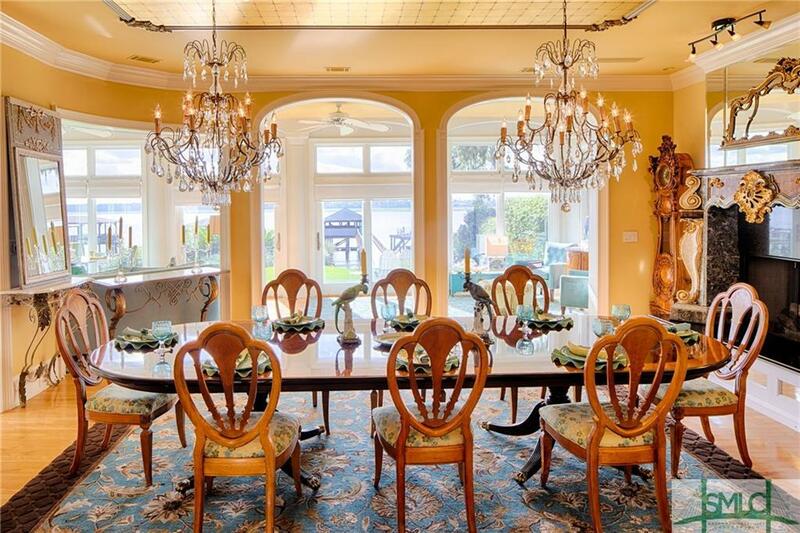 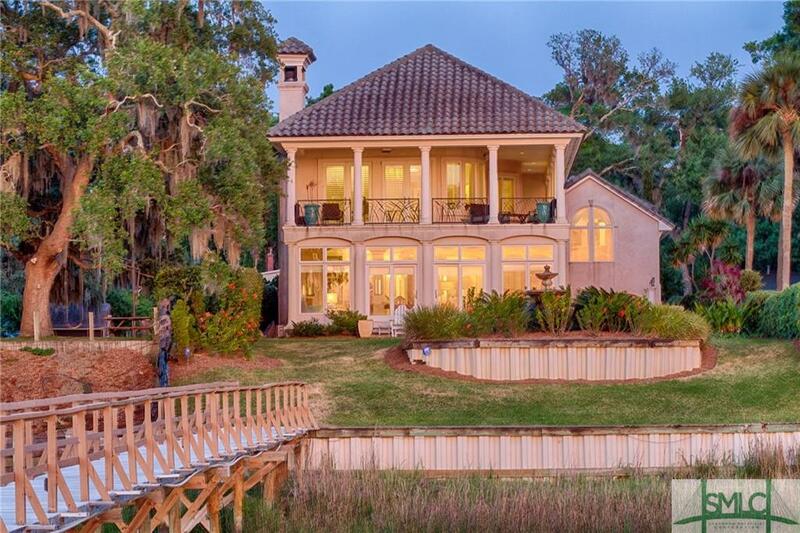 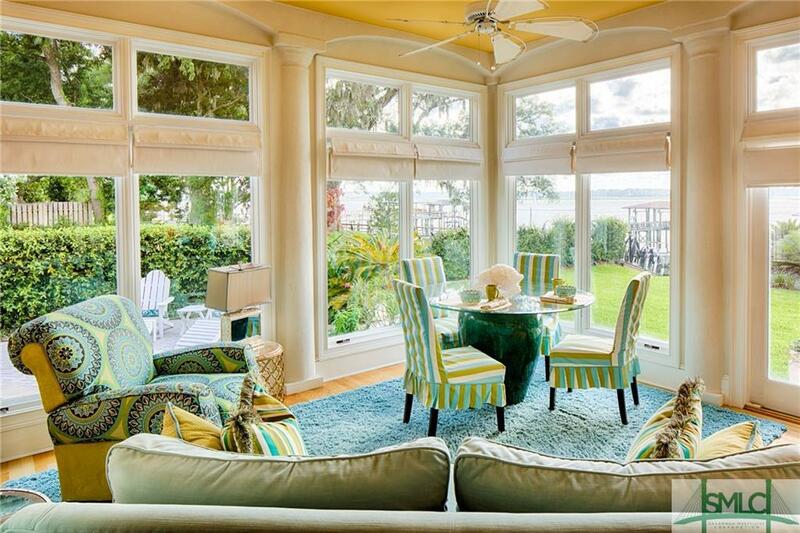 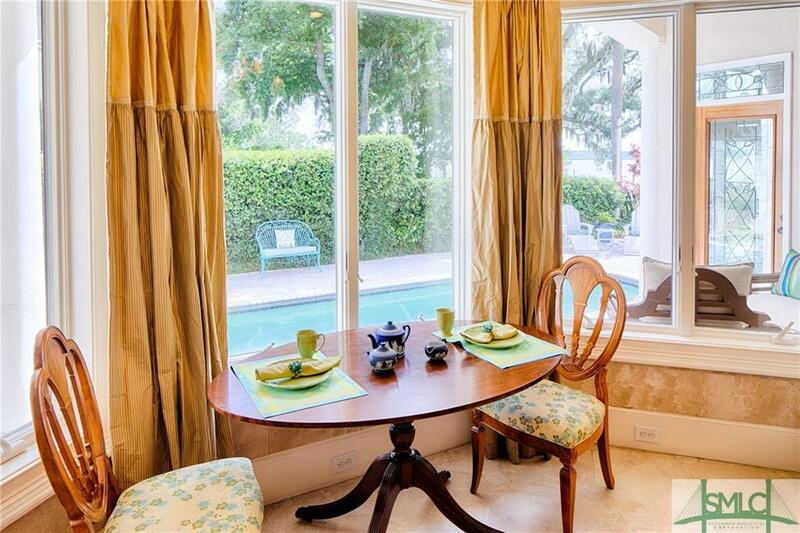 An elegant master overlooks the river & enjoys its own private wrap porch. 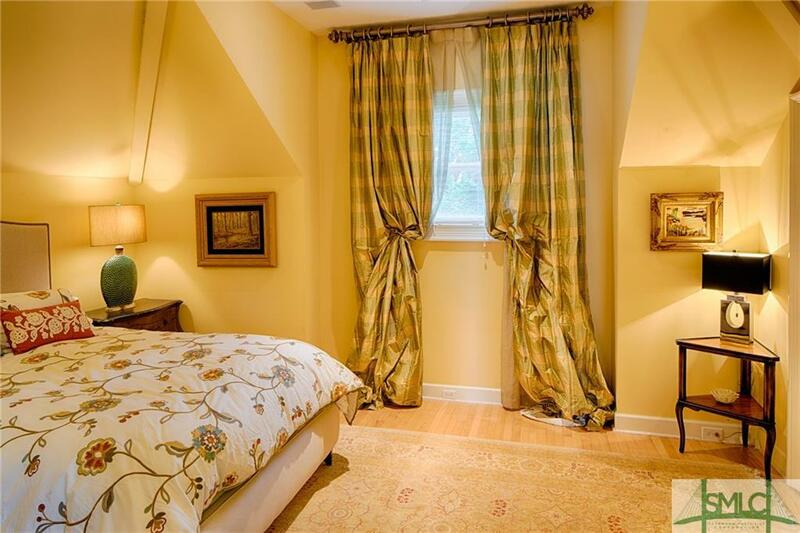 A separate & private full guest suite w/kitchenette is perfect for that long term guest. 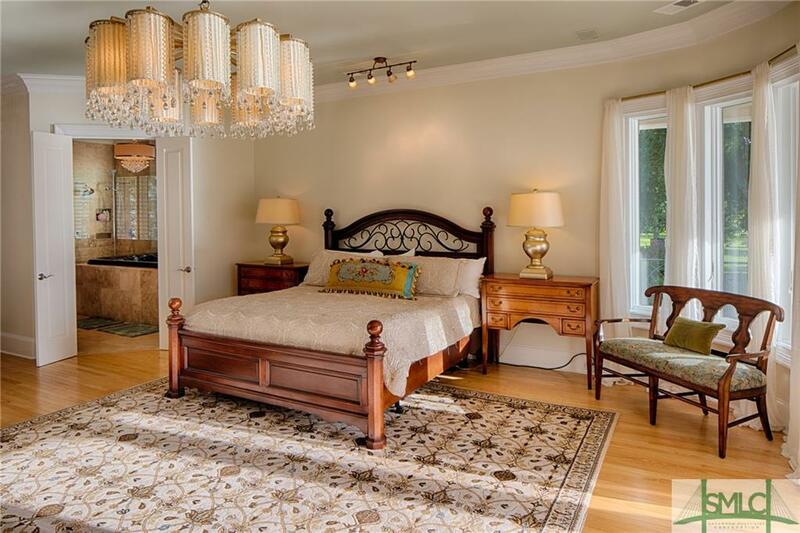 This fine home enjoys 3 other guest bedrooms for a total of 5 bedrooms. 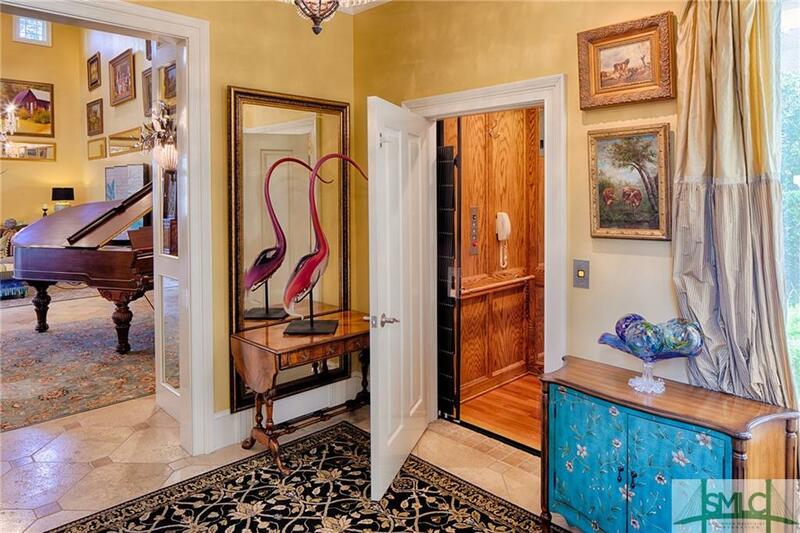 For convenience, there is an elevator. 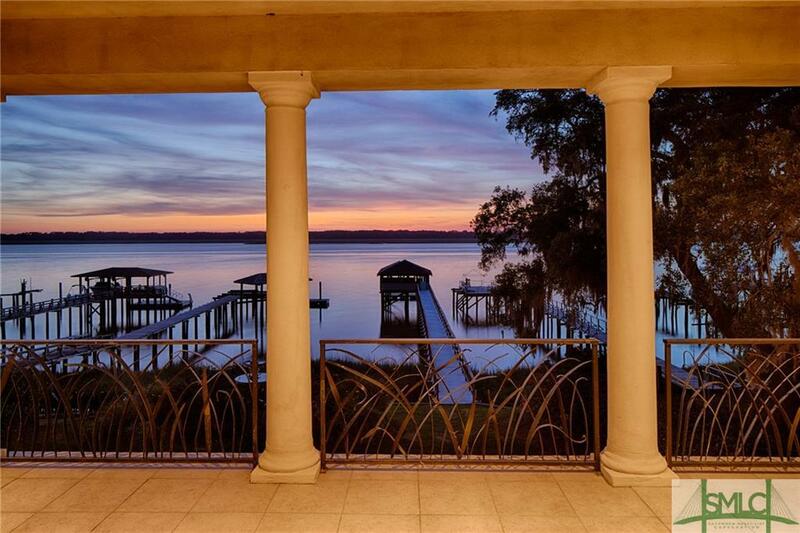 Outside, a stunning pool w/waterfall makes for a wonderful calming oasis w/river views. 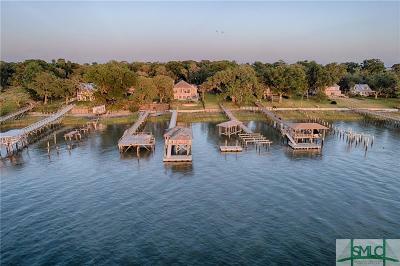 For those fun days of boating, enjoy the convenience of your own deep water, floating dock. 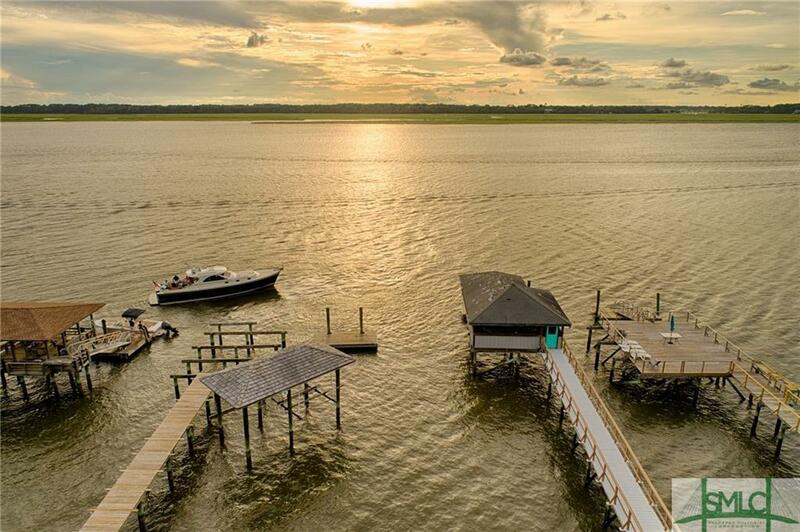 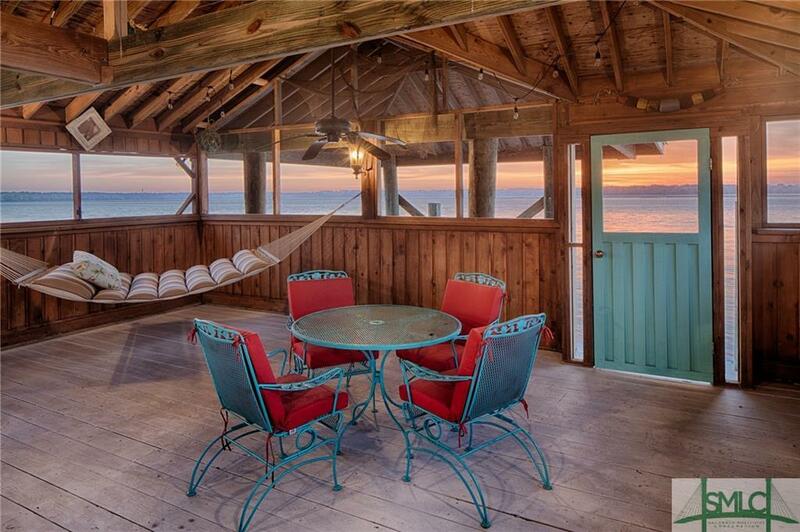 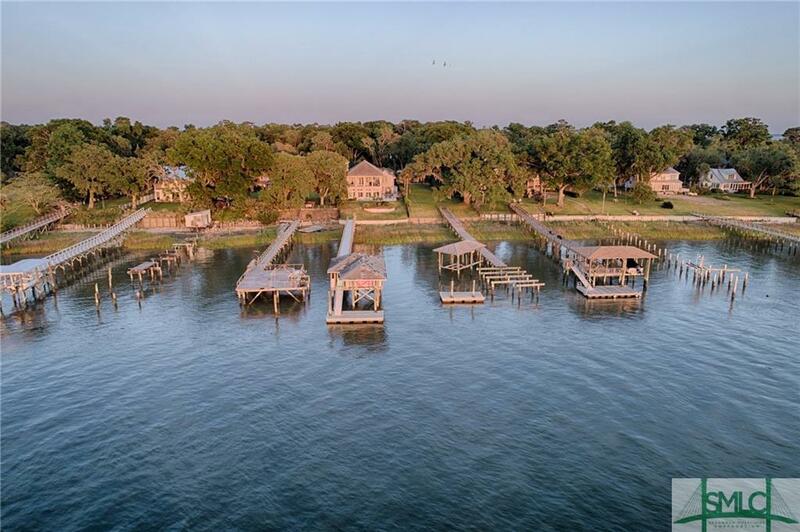 Host many fun times in a spacious dockhouse w/power & water.